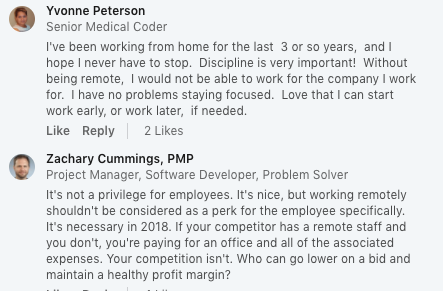 The Remote Workforce Debate: Which Side Are You On? Some companies are pulling remote workers back into the office, while others are choosing to go fully virtual. Millennial employees have been pushing to break the 9-5 mold ever since they entered the workforce. Flexible hours and working remotely are benefits that companies have been using to draw in millennial talent. Remote working is attractive to employees who want a healthier work/life balance. While millennials get the credit for pushing for this change, Gen X workers have also benefited from it, as the average remote worker age is 46. It also saves employees money on commuting costs and gives eco-conscious companies points on their sustainability report card. A report released this week by remote services vendor, FlexJobs, found that about 170 companies in the U.S. today operate 100% virtually. This is a huge increase from the 26 virtual companies FlexJobs reported operating in 2014. There are many reasons for this growth, better technology, more acceptance of remote employees by higher-ups, and top-talent demanding more flexibility in their schedules. These 170 virtual companies are extreme examples of remote working. They have no physical headquarters and the majority of their staff works from either co-working spaces, home or coffee shops. The benefits of going fully virtual include low overhead costs, high employee retention and engagement rates and an expansive talent pool - virtual companies can recruit top talent from anywhere in the world, instead of being beholden to the local population. On the other hand, larger companies such as Yahoo! 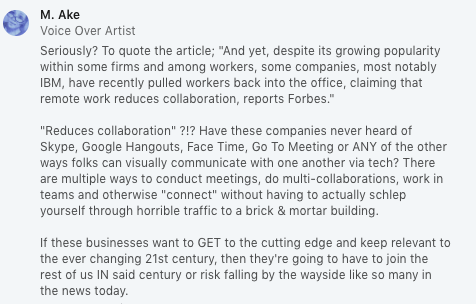 and IBM have been pulling remote workers back into the office stating that having employees in the office creates a culture of collaboration. However, as the amount of employees who want to work remotely increase, removing remote work as a benefit altogether might create a talent retention problem. 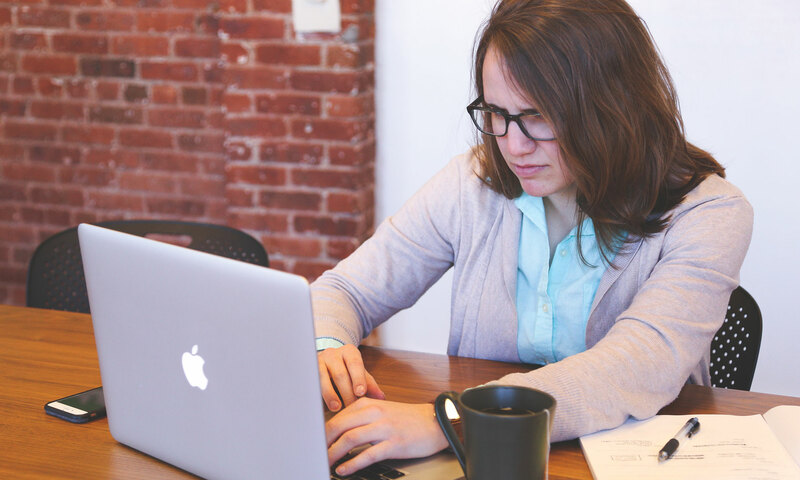 A Gallup poll found that millennial employees are likely to change positions if another company is offering up remote work. What do you think of remote work? Would you want to work remotely? Weigh in below or tweet us @Connex. Want to share insights with your peers on HR and benefits issues? Apply to join our member network.